Look at this sweet little peanut! Could she get any more adorable? 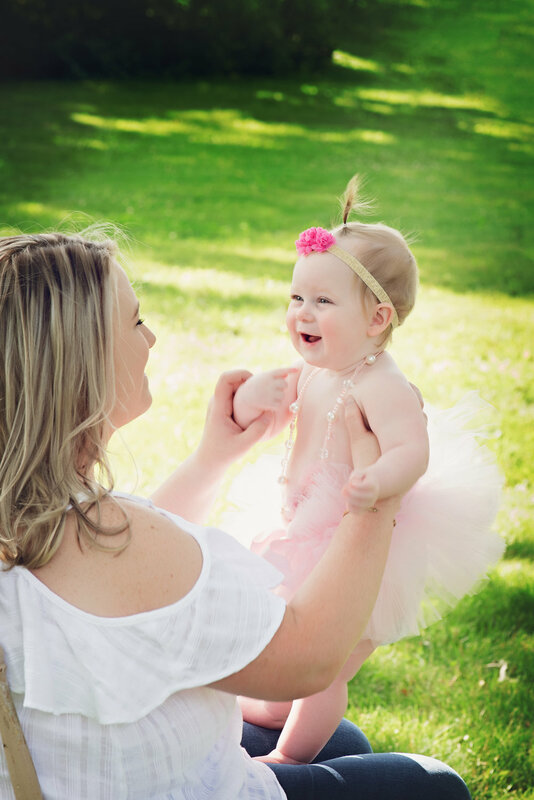 Turning ONE is such an exciting milestone and since my kids are big for their age I absolutely LOVE hanging out with sweet little peanuts like Miss Haven! 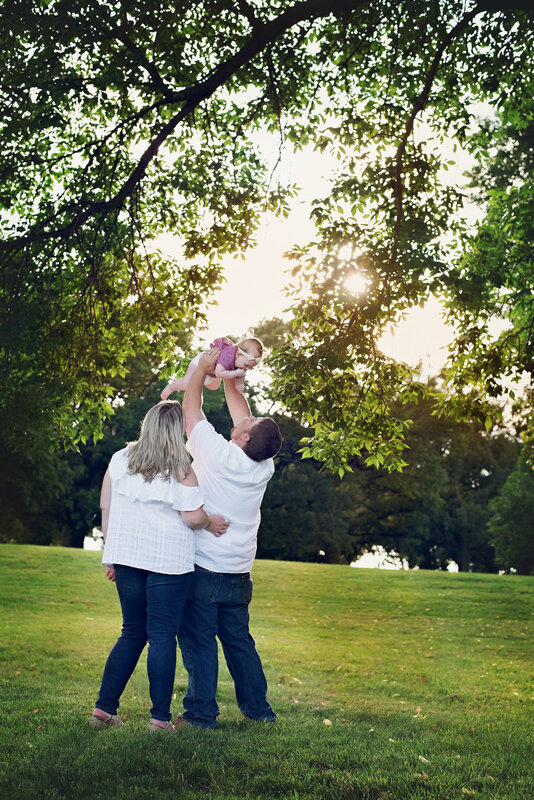 As a New Prague family photographer I love getting to know new families and document their memories. After chatting on the phone I knew that mom and I were going to get along so great. We had a great conversation and I couldn't wait to meet their sweet baby girl. During our conversation I quickly realized that we live super close to one another and on walk one day stopped by to say hello! As a New Prague family photographer I really value the importance of creating quality relationships and getting to know you and your family. It was nice to put a face to a name and to know who to look for at our upcoming session the next week. We met at one of my favorite spots and I had our session plan all set! As a New Prague family photographer I have questionnaires and preparation guides for my clients. I knew ahead of time some of the special items that they were bringing, the outfits they were planning and the types of images that were most desired. It is so important with little kids to have a plan, and then a few other plans for when the first goes out the window because kids love changing plans! Your images are what are most important to me so I always connect so that I know what to expect and you do too! I always have lots of tricks up my sleeves and lots of fun things to bring out children's natural personalities. After all all a New Prague family photographer should be ready for anything! I knew going into Haven's session that they were bringing a big balloon and were hoping to get images of her holding it. I planned a couple simple props and beautiful quilts to coordinate with their outfits. Aside from it being a breezy day it was gorgeous! The sunlight was beautiful and we had a great session! Thank you for including me in your beautiful families lives, I truly enjoyed our conversations and time together! 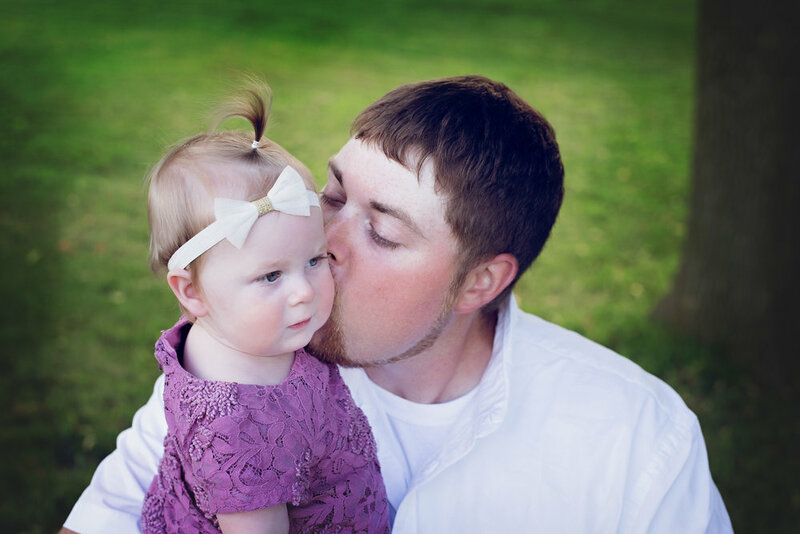 Amber Skluzacek is a New Prague Family Photographer. She is a full service photographer that creates images and products that will be cherished forever. Her work focuses on using natural elements while posing families safely and beautifully.